Warm and rich look of hardwood. Meet the very first fiberglass hinged patio door — the French door that revolutionized an industry. Therma-Tru’s Fiber-Classic® French patio doors changed how patio doors are made, and still sets the standard for today’s fiberglass hinged patio doors. 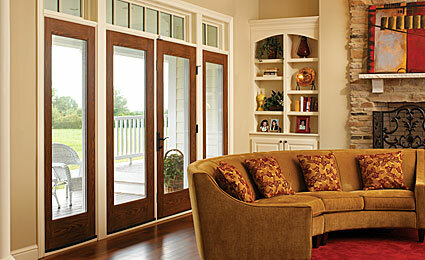 Our original vision was a hinged patio door that would not crack, split, splinter, or warp like wood. The result? Therma-Tru’s Fiber Classic Oak French door that’s durable, stylish, economical and most preferred by builders and remodelers.